Image by Don Emmert/Agence France Press / Getty Images, © All Rights Reserved. Kecia Ali is senior research analyst for the Islam section of the Feminist Sexual Ethics Project at Brandeis University in Waltham, Mass. 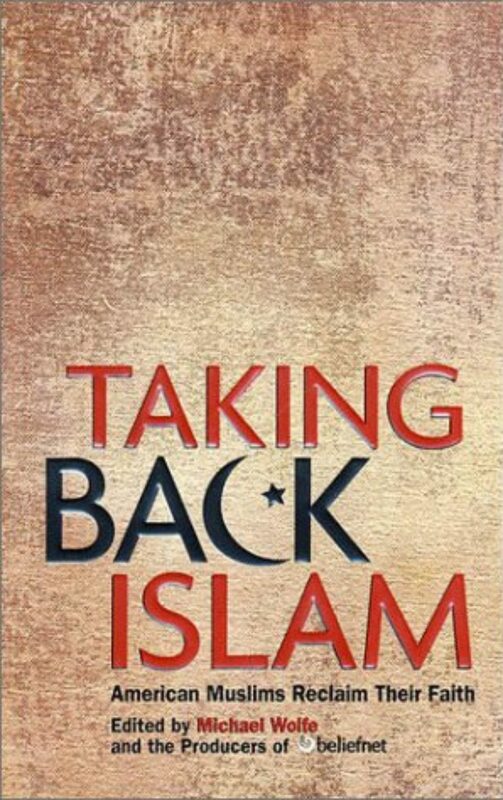 Michael Wolfe is a columnist, filmmaker, and editor of Taking Back Islam: American Muslims Reclaim Their Faith. 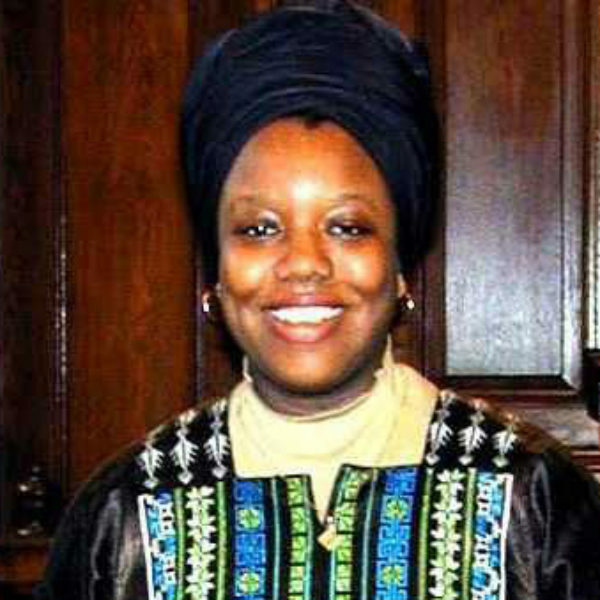 Precious Rasheeda Muhammad is founder and president of the Journal of Islam in America Press and founder of the Islam in America conferences at Harvard Divinity School. KRISTA TIPPETT, HOST: I’m Krista Tippett. My guests today have a story to tell of an energetic convergence of progressive Muslim thinkers, scholars and activists that has gone largely unnoticed. They suggest that when we consider the future of the Muslim world we must look first at Islam in this country. From American Public Media, this is Speaking of Faith, public radio’s conversation about belief, meaning, ethics and ideas. 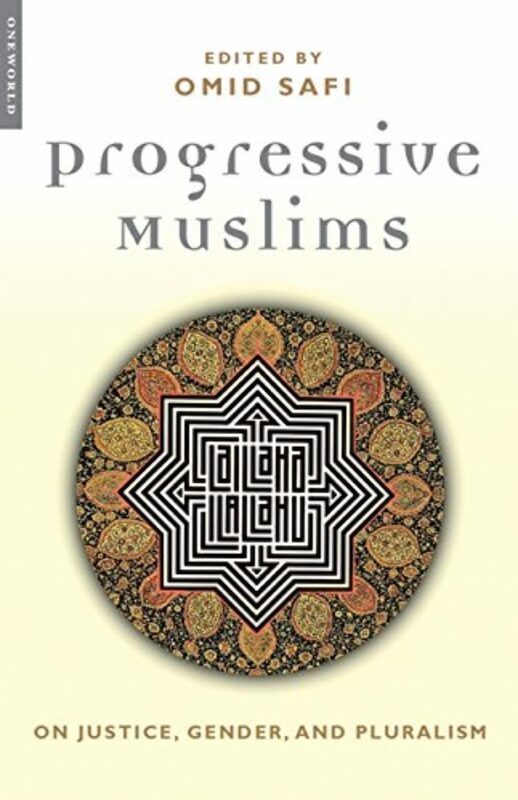 Today, “Progressive Islam in America.” There are an estimated six million Muslims in America and in recent years scrutiny of the religion of Islam has become part and parcel of our public life. As terrorist attacks continue around the world, many ask, `Is violence at the heart of Islam? Can Islam reconcile itself with modernity? Can it flourish within democracy’? 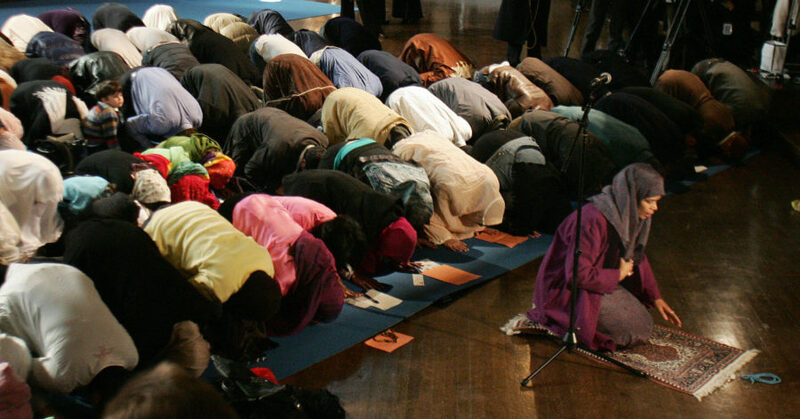 This hour we’ll speak with a spectrum of American Muslims who describe themselves as devout, moderate and progressive. Michael Wolfe is an author and filmmaker who converted to Islam over two decades ago. Precious Rasheeda Muhammad is a third generation African-American Muslim. Kecia Ali is a rising scholar of feminist ethics. We begin with Omid Safi, an Iranian-American theologian. DR. SAFI: It’s messy. It’s messy in that middle, and it’s also like a game of dodge ball. You know, you get hit from all sides, but I’m convinced that it’s not just a middle ground. It’s also in some ways a higher ground. MS. TIPPETT: I wonder what you have felt you needed to speak out about or critique within Islam with other Muslims about Islam in these last couple of years? DR. SAFI: Oh, well, there are a number of different areas. One of them is sort of in the aftermath of 9/11, you have seen kind of an ebb and flow of extremism in terms of al Qaeda and things of that sort, but you’ve also seen this opening where all of a sudden you don’t find many Muslims who feel comfortable identifying themselves as Wahhabi anymore. It’s a kind of ultraconservative movement that starts in Saudi Arabia in the 18th century, and while it is dogmatically anti-Western, anti-Jewish, anti-Christian, actually more than anything it’s anti-other Muslims. And, you know, throughout history and well before 9/11, the Wahhabi extremists have killed many, many times more Muslims than they have ever killed non-Muslims. They’ve killed Shiite Muslims, Sufi Muslims, non-Saudi Muslims. So they have a long history of genocide. So, you know, on one hand I think we’re speaking out, you know, against those particular groups, and on the other hand I think what we’re doing — and this is not a comfortable thing to do, but the time for comfort has passed — is to talk about all the uncomfortable issues and all the ones that — and I will use the pronoun `we’ here — we Muslims generally don’t want to talk about publicly. We’d rather talk about them inside our own confined spaces. So, you know, we’re talking about issues of gender justice. We’re talking about what does it mean to have communities in which women are not guaranteed the absolute full dignity that they are entitled to as human beings? What does it mean to have communities in which in spite of all the Islamic ethical teachings of universal brotherhood and sisterhood, there are deep and abiding class divisions and racial divisions? And these are things that us Muslims don’t like to talk about publicly or have not liked to talk about publicly. But I also sense a change, and I’m confident in that change. And part of it is a generational issue. And for those of us who happen to be both American and Muslim, part of it is a sense of — I mean, this is what us modern creatures do, is we are probing and prodding and critiquing and never too comfortable in any one place, and as Muslims, we’re no exceptions. But those conversations being had out loud and out in the open, that’s a new thing for the Muslim community. MS. TIPPETT: Give me some examples of where you’re seeing that or what it looks like, where it’s taking place. DR. SAFI: One of the most interesting places for it is the virtual realm, the Internet. This has completely, I think, changed the way that we are having difficult conversations about spiritual and communal and social issues. And there’s a level of anonymity that the Internet affords us that, you know, we don’t have to come face to face with someone who may be bigger than us or richer than us. MS. TIPPETT: Right, or meaner. DR. SAFI: Or meaner. And they can’t shout us down quite as easily. And so one of the things that I’ve noticed is the incredible number of younger Muslims who, just as, you know, they are completely savvy in terms of technology and mp3s and that whole realm, that they’re also carrying out their intellectual conversations on the Internet. So there’s a mushrooming of list serves and chat rooms where people are carrying out these kinds of debates and discussions. And this is new. This is new. And you’re also seeing it being carried out in the, quote, unquote, “real world” as well, and people are also trying to figure out how do we build inclusive communities, communities that are inclusive racialwise, sexualwise, genderwise, classwise, and all those kinds of senses. And the fact that they’re being done deliberately and explicitly I think makes it an exciting time. MS. TIPPETT: Well, and there is this spate of books, and I keep becoming aware of more of them. I mean, there’s your volume, Progressive Muslims, and there’s Michael Wolfe’s Taking Back Islam and Khaled Abou El Fadl’s Tolerant Islam. I mean these are all collections of many, many Muslim voices. DR. SAFI: …of Muslim voices. What’s interesting, though, and this is one reason that I think there’s both listening and not listening going on, is that parallel to these set of books, you have the whole other set of Islamophobic kind of voices out there, people like Bernard Lewis and Samuel Huntington and Daniel Pipes and a lot of the neoconservative types — who it’s almost as if the books that you just mentioned, the Progressive Muslim book and Michael Wolfe’s work and Khaled Abou El Fadl’s and Asma Gull Hasan’s and so many other people, as if we don’t exist. It’s kind of this chorus of, `There is a deafening silence of moderate Muslims.’ Talk about things that anger one, because I think that to refuse to acknowledge the voice and the conscience of other human beings is an incredible act of barbarism. MS. TIPPETT: Muslim theologian Omid Safi. Omid Safi has been a key voice in a growing movement that sometimes calls itself progressive Islam. For him, this entails critical thinking both about Islam and about American culture. For example, he says, sweeping portrayals of the Muslim world, such as naming entire countries as evil, undermine the constructive influence American Muslims are seeking to exercise in other parts of the world. DR. SAFI: One thing that as Muslims we’re having to do is to stand up to those extremists who would characterize all Americans as being evil. And we’re saying that, `No, you can’t go around demonizing a whole civilization and a whole group of humanity.’ And using that logic, we have to also stand up to people who would characterize an entire nation as belonging somehow to this `axis of evil,’ as if everyone there is evil or even every act of their government is evil. So I think one has to be consistent about it, and I don’t find that kind of totalizing and generalizing to be a compassionate act and to be a helpful act in bringing humanity together. MS. TIPPETT: You’ve also spoken about something you call pamphlet Islam and Web Islam as problematic. And, you know, you just talked about things happening on the Web that feel good to you and exciting, but what are these things you’re concerned about? What’s pamphlet Islam and Web Islam? DR. SAFI: You know, there’s something very appealing about the process of offering short and quick answers to very complicated problems. In the case of Islam, you know, when you walk into many Islamic centers, you see at the front desk or on the wall somewhere these ludicrous kinds of pamphlets: `The Position of Women in Islam,’ `The Role of Jesus in Islam,’ `The Concept of God in Islam.’ And what it does is it takes 1,400 years of history and an incredibly rich and diverse spectrum of interpretation and practice and picks one of them and represents it as the Islamic take on things. It never tells you where in the spectrum it comes from. It just becomes the Islamic take on something. And collapsing that rich spectrum is a crime because it’s precisely that fluidity of Islamic interpretation and practice that people find so useful. It’s been one of the great hallmarks of the Islamic tradition, that you always have had a plurality of voices and interpretations and practice more or less side by side and, however grudgingly, acknowledging the validity of other interpretations, even if one disagrees with them. MS. TIPPETT: You talk about this virtue of Adab. Is that right? Tell me what that is and what role that might have to play in what you see as a constructive way forward. MS. TIPPETT: And what is it? I mean, what’s your definition of Adab? DR. SAFI: It’s rooted in love, but it’s when you act on love in a way that puts someone else before you. And so — you know, you just have to give examples — when you travel in the Muslim world and you go to the teahouses and you’re sitting down, and someone brings out a tray of little cups, someone, the host generally, will take the cup of tea and they will put sugar in your cup before they put it in their own. And the reason they do this is that should somehow, heaven forbid, the sugar run out, they’d rather you have a sweet cup of tea than themselves. They put you before them. MS. TIPPETT: You know, something that I — that is important and that what you’ve been saying and writing recently is that you’re not only being critical of, let’s say, injustice that has come to be part of some Islamic thought and action but that you think it’s important for Muslims to be mindful and critical of — you’ve used this phrase–`the arrogance of modernity.’ Now talk to me about that. MS. TIPPETT: Yeah. And that’s what a lot of Americans are wanting Muslims to be desiring now, too. DR. SAFI: That’s correct. And I think what has happened with this emergence of the group that we’re calling progressive Muslims is that we are exposing modernity to the same kind of critique that we are doing to our own tradition. So the idol of modernity has to be smashed. And in that sense, what we’re saying is not fundamentally different from what postcolonials and postmoderns, if you would, in other conversations are saying. It’s to say that there are incredibly powerful and profound things that take place in modernity, such as, you know, the rise of scientific development and notions of democracy and human rights, but that these same developments also have a very dark and nasty underbelly. MS. TIPPETT: Well, give me some examples of that. DR. SAFI: Racism. You know, just the development of so much contemporary philosophy, going back to Kant and Hegel, is built on, I think, a profound sense of racism, of privileging sort of the white European as the embodiment of the rational self. MS. TIPPETT: I want to note that you, again, have your broad, your large historical view because you’re talking about modernity as the last couple hundred years, right? DR. SAFI: And maybe even more than that. Maybe even more than that. I would say maybe last 400 years in that sense. MS. TIPPETT: Just to clarify that. DR. SAFI: Yeah. And I think that, you know, that kind of racism, the absolute environmental destruction that we have inflicted upon the world in a way that has never existed before, the legacy of colonialism — I mean, what is, after all, 19th century and, you know, much of 20th century about other than colonizing 85 percent of the world? So modernity cannot, for us, be this entirely wholesome package that we must somehow download. It has to be critiqued; it has to be taken apart. That which is good and that which affirms the dignity of all humanity, not just some portions of humanity, is something that we will gladly tap into. But that which is racist and sexist and environmentally destructive, we will expose and we will not use and we will resist. And we will work to undermine it and to replace it by something that’s better. And it’s that sense of grudgingly engaging both our own tradition and modernity to find the best elements of both that I think is new. 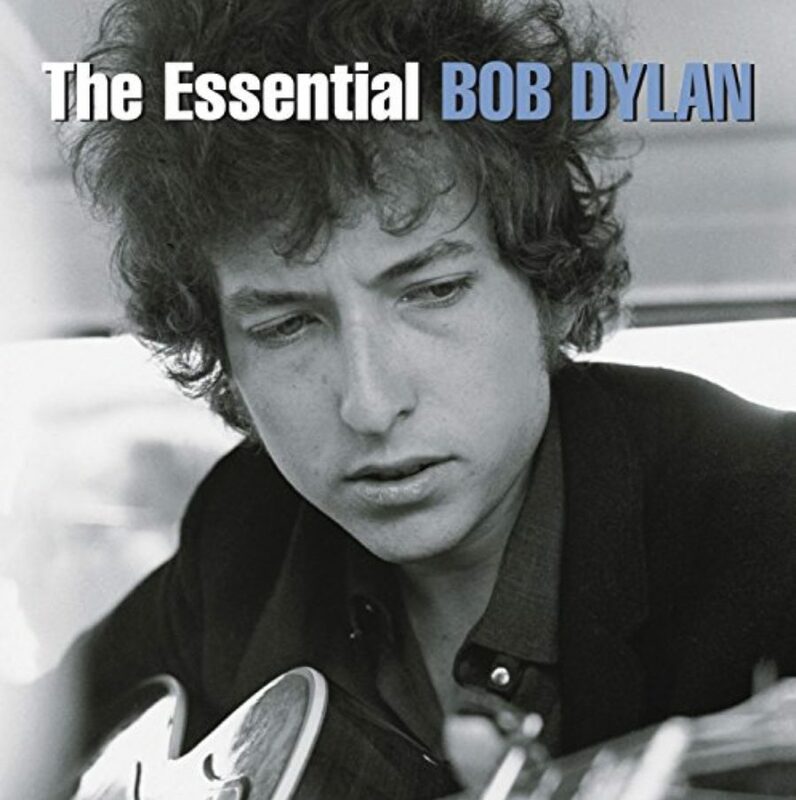 MS. TIPPETT: Well, I would say that your musical taste is decidedly pluralist because you start your book, Progressive Muslims— your introduction to that with some lyrics from Bob Dylan. MS. TIPPETT: Tell me why you invoke Bob Dylan for Muslims at this moment in time. DR. SAFI: And this — you know what this is? Exactly what I felt that, as the Muslim community, we were going through. And, you know, when he talks about how parents cannot stop the young ones from moving in this direction, and he calls on the senators not to block this wind of change. 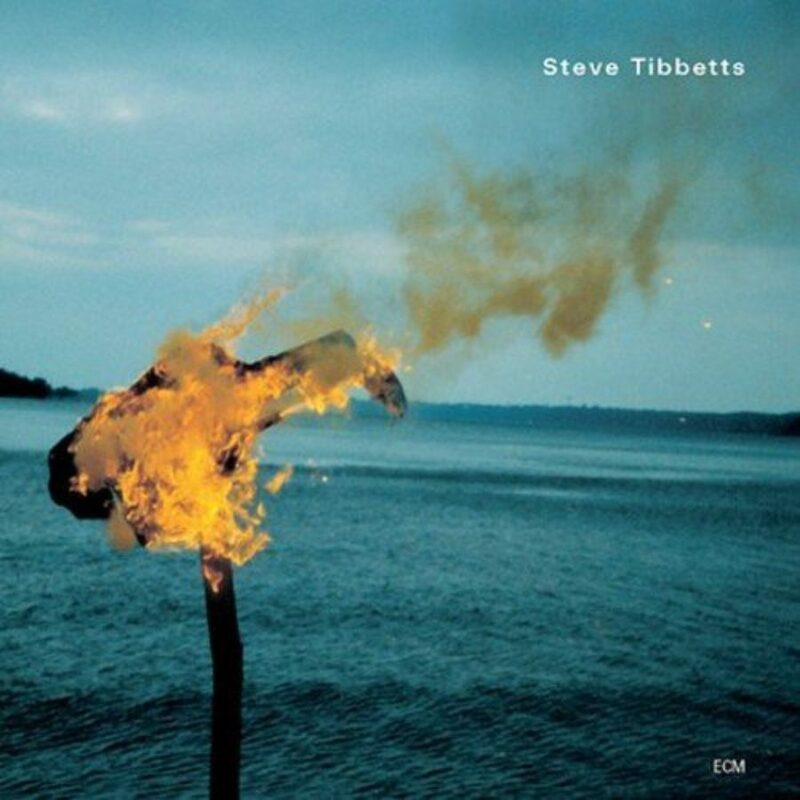 There’s so many levels at which this resonates, and it’s that sense that he’s got some very dark songs in there. 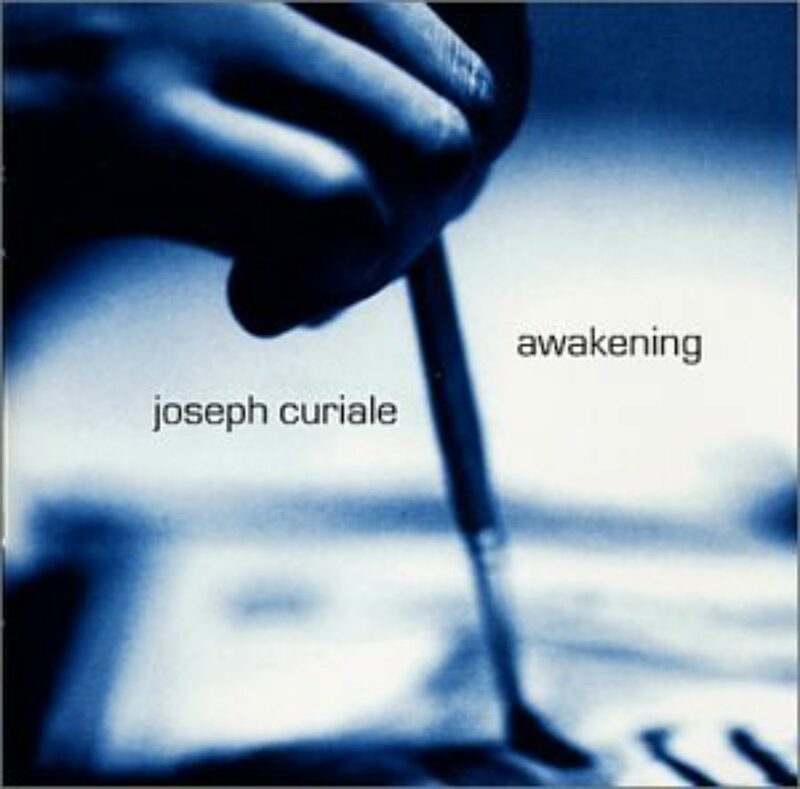 And then comes this absolutely life-affirming, humanistic, `The winds of change are blowing. The times they are a-changin’.’ And that’s, I guess, where I find us. MS. TIPPETT: Omid Safi is a professor of Islamic studies at Colgate University. He is the editor of Progressive Muslims: On Justice, Gender and Pluralism. I’m Krista Tippett and this is Speaking of Faith from American Public Media. One of the contributors to Omid Safi’s book is Kecia Ali. She is currently a post-doctoral fellow in Islamic and women’s studies at Brandeis University. She was previously the senior research analyst for the Islam section of the Feminist Sexual Ethics Project at Brandeis. There is a growing Islamic feminist voice. For example, earlier this year in New York a Muslim woman, an Islamic studies professor, Amina Wadud, led prayers at a service where men and women prayed together without the customary separation of a curtain. My guest, Kecia Ali, converted to Islam in young adulthood, but only after she decided that she could reconcile Islam’s tenets with the fact that she had been feminist since she knew what the word meant. KECIA ALI: The reality is that I don’t think I have made my peace with everything contained in Islamic religious texts and certainly not with everything that transpires in Muslim communities. But the rest of the world isn’t a feminist paradise either, and I found the overall core of Islam, the overall core of the Qur’an’s message to be so convincingly egalitarian that the rest seemed to be in some sense just details. 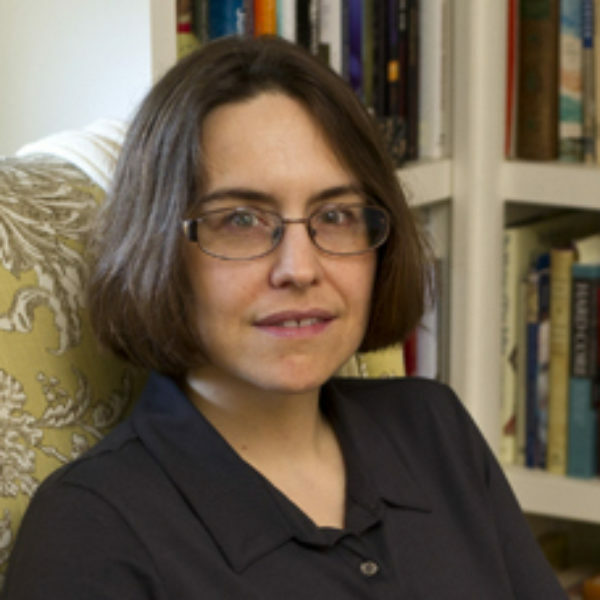 MS. TIPPETT: These days as Kecia Ali pursues such details by way of scholarship, she like many Muslims, looks to the authoritative writings of classic Islamic jurists, especially from the ninth century. That tradition distinguishes between reading Islamic law and the work of interpreting and applying it in different lives and circumstances. That process, Kecia Ali says, is especially important for Muslim women. Some teachings in the Qur’an were not meant to be applied to all women or in every time. Here’s a passage that shapes Kecia Ali’s understanding. MS. TIPPETT: Did you stand up and say something? DR. ALI: I didn’t. I bit my lip, but it was killing me to do it. So that concept of pairs and the concept of being created of the same soul and for each other is tremendously important. The Qur’an also says spouses are garments for one another and it says men and women are each other’s awliya’, friends or protectors. So those verses provide a very important starting place. MS. TIPPETT: And you were involved in this project at Brandeis, the Feminist Sexual Ethics Project. What is coming out of that project that also is enhancing this conversation that we’re talking about today? This subject of women. DR. ALI: Well, many things have come out of the project. I actually came on board to work on some Web content related to Islam. So there’s a bibliography, for example, and a series of links which go to other Web sites that provide a variety of interpretations on issues associated with wearing hijab, for example, or the interpretation of a couple of particularly thorny scriptural passages. You know, when you talk about the Qur’an, you have to distinguish between those verses that say things like, `We created you from a single soul, and created from it its mate,’ and things that say things like husbands have a degree over their wives. MS. TIPPETT: Right. And that’s true of every sacred tradition. These contradictions exist in every tradition. DR. ALI: They absolutely are. But if you say, `The Qur’an says,’ then, you know, let’s be honest about the full range of what the Qur’an says both on the conservative side and on the progressive side. Let’s be honest about the fact that Islam is a multifaceted tradition. The Qur’an may be the primary source for Muslims, but it is not the only one that is cited in discussions of what Islam says about a particular subject. And so it’s been interesting for me and important for me to figure out how to bring all of those realms together. And that’s even without bringing up the subject of what it is Muslims actually do and have done historically, which is a whole other can of worms, because if you say Islam says such-and-such, well, then what about the fact that, you know, half the Muslims in the world may not do it that way. And how do you address that? MS. TIPPETT: Kecia Ali is Florence Levy Kay Fellow in Islamic studies and women’s studies at Brandeis University. She’s completing a book on Islamic law relating to marriage and divorce. This is Speaking of Faith. After a short break, Precious Rasheeda Muhammad, a third-generation, African-American Muslim. Also, filmmaker Michael Wolfe. Go to our website at speakingoffaith.org where you’ll find an annotated guide to today’s program. The particulars section presents images and details about all the references, readings and music you’ve just heard. While you’re there, learn how to purchase mp3 downloads of each week’s program and sign up for our free email newsletter which includes my journal on each program as well as previews and exclusive extras. That’s speakingoffaith.org. I’m Krista Tippett, stay with us. Speaking of Faith comes to you from American Public Media. Welcome back to Speaking of Faith, public radio’s conversation about belief, meaning, ethics, and ideas. I’m Krista Tippett. Today, Progressive Islam in America. Over a third of the estimated six million Muslims in this country are African-American. There are a few Black Muslim icons in American culture: Muhammad Ali, Elijah Muhammad, Malcolm X and, more notoriously in recent years, Louis Farrakhan. His famous militant Nation of Islam is, in fact, a splinter group of the original Nation of Islam, which underwent a thorough reform after the 1970s. Farrakhan’s movement today has tens of thousands of members in comparison to 2.5 million members of the mainstream African-American coalition the Muslim American Society. Many Americans’ knowledge of African-American Islam may end where the popular movie about Malcolm X ended, with his assassination at the hands of Nation of Islam members. Yet by the time he died, his understanding of the nature of Islam had undergone a radical transformation, a transformation that would echo beyond his death. Here is the voice of actor Denzel Washington in that movie. MALCOLM X (PLAYED BY DENZEL WASHINGTON): Now you may be shocked by these words, but I have eaten from the same plate, drunk from the same glass, and prayed to the same God with fellow Muslims whose eyes were blue, whose hair was blond, and whose skin was the whitest of white. And we were all brothers. True. People of all colors and races believing in one God, in one humanity. Now my first concern, of course, is with the group to which I belong. For we, more than any others, are deprived of our inalienable rights. But I believe the true practice of Islam can remove the cancer of racism from the hearts and the souls of all Americans. MS. TIPPETT: A decade after Malcolm X’s death, Nation of Islam leader Elijah Muhammad was succeeded by his son, Warith Deen Muhammad, and he essentially reformed mainstream African-American Islam along the lines of Malcolm X’s personal transformation. His Muslim American Society rejected radically separatist beliefs and allowed a greater role for women. For my next guest, Precious Rasheeda Muhammad, this is personal history. Her father was part of the paramilitary group associated with the original Nation of Islam and was one of the men who lowered Elijah Muhammad’s body into the grave. But he raised his daughter in an American world of Muslim reformation. PRECIOUS RASHEEDA MUHAMMAD: I was born in 1975, and 1975 was actually a very historical year in the history of a good, you know, number of African-American Muslims in that it was the year that Elijah Muhammad died and his son, Warith Deen Muhammad, took over and transitioned the community to Islam proper or orthodox or mainstream, depending on who’s describing it. And so I was always raised as just Muslim, sort of, in the direct way that Muslims are all over the world that are mainstream traditional. MS. TIPPETT: Precious Rasheeda Muhammad insists that there is a special affinity between the spirit of Islam and the experience of African-Americans and that this has grown more relevant. She writes that, `As a result of September 11th, immigrant Muslims are seeking wisdom from the struggle of African-American Muslims, for these are a people who have taken Islam and used it as an antidote rather than a poison.’ While studying at Harvard Divinity School, Precious Muhammad unearthed surprising chapters in the long, little-known history of black Islam in America. MS. MUHAMMAD: Right. I mean, it’s understood that Muslims came early to the New World, and some even fought in the Civil War. But it’s also believed that 20 percent of the slaves who were mutinied aboard the Amistad were Muslim. And then you have Sylviane Diouf’s award-winning book African Muslims Enslaved in the Americas, and in that book she points out that a significant percentage of the slaves were Muslim. And she makes the argument that Islam was the first religion freely chosen as a system of belief by African-Americans and the slaves. And she says that one slave master even provided an Arabic bible and a Qur’an for his Muslim servant. And she writes that African Muslims may have been, in the Americas, the slaves of Christian masters, but their minds were free. They were servants of a law. Islam didn’t come and abolish slavery. What it did was it elevated the minds of the people who were oppressed into an understanding that they were servants of God alone. And I think that is much greater than necessarily liberating people from physical servitude without any concept of their greater freedom that they have as human beings and members of society. MS. TIPPETT: You know, what you’re describing, I think, is a deep affinity between African-American experience and the theology of Islam and the history of Islam, and a large percentage of American Muslims are African-American. MS. MUHAMMAD: They definitely make up the largest bloc of Muslims and the largest organized community of Muslims in the United States, as far as having a vision and a mission statement and actually having sort of educational thrusts and different economic development programs and things like that, is the American Society of Muslims. And that’s the community that I grew up in, and that community has always stressed the importance of establishing a model community in the broadest sense, a community which is balance witnessing to all people, a community that God establishes, approves of and supports. So that’s the mission and vision statement of the American Society of Muslims, which again, the case has been made that that community alone has about two million Muslims in it. MS. TIPPETT: And yet with this vital history, it seems that it’s only recently that other Muslims have really turned to African-American Muslims to understand that experience and maybe even learn from it. MS. MUHAMMAD: I think that, I mean, there has been some attention with collaboration and understanding and reaching out, and I think that has a lot to do with just understanding the background of African-American Muslims. I think there was a lot of suspicion there and concern about where they were coming from, especially those who were in the Nation of Islam. But at the same time, you have the African-American Muslims being the first ones to openly proclaim themselves as Muslims, the first ones to openly use the Arabic names, like Muhammad. And now in the African-American community, even if you’re not Muslim, you’re going to find Rasheedas and Fatamas and especially Aishas. And so you have sort of these people who were treated as second-class Muslims to a certain degree being the leaders of Islam in America as far as exposing it and promoting social justice in Islam. And I think after 9/11, that became clearer to the Muslim community as a whole in the United States, that they needed to collaborate more with the African-American community because they had more of an understanding of the history of oppression in the United States. MS. TIPPETT: Say something about what 9/11 did, how it changed that. MS. MUHAMMAD: One example is when Jesse Jackson came to Harvard, I think it was shortly after 9/11, he came in October, and a Muslim student — South Asian American Muslim student stood up and asked Jesse Jackson, you know, `You have an understanding, your people — that African-Americans have an understanding of oppression in the United States and what the Arabs and Muslims are facing today.’ And, you know, he asked Reverend Jackson, `Well, what can you tell us, as Muslims, to deal with some of the oppression that we’re facing now, you know, because you have the experience?’ And Jesse Jackson responded, `There’s no safety in the margins.’ He said that you have to coalition-build, you have to collaborate with the community, you have to get out there. There’s no safety in the margins. And that’s something that African-American Muslims in the United States have been saying forever and have been doing. And so you have African-American communities sort of well integrated into American society whereas, in some cases, the immigrant community sort of stays to itself. It was very active within its own community and for the benefit of the Muslim community, but it, to a certain degree, didn’t understand the importance of reaching out and doing a lot of the interfaith and a lot of the collaboration that goes on. The thing is African-Americans did — really didn’t have the luxury of staying to yourself. You had to participate because it made a difference between, you know, human rights, civil rights, police brutality, all these different things that you’re facing. So you have people who vote more, who become more a part of city councils and all these different things out of sort of experience, again, of oppression and knowing that it’s actually indispensable to their well-being. MS. TIPPETT: Precious Rasheeda Muhammad. She’s talking about the role of African-American Muslims in a new dialogue within Islam in this country. African-American Muslims are sometimes referred to as Bilalians, a reference to a black Abyssinian slave who was freed by one of the prophet Mohammed’s earliest companions and who, it is said, became the first Muslim to issue the call to prayer. I asked Precious Muhammad to tell me about the source of her greatest fear as an American Muslim at this time and the source of her greatest hope. MS. MUHAMMAD: My greatest fear is the misrepresentation. I think that’s my greatest fear, and right now not necessarily the misrepresentation from non-Muslims but misrepresentation from Muslims. And I can only speak from my experience on that and say what Islam means to me and my understanding of it and its message of universal human excellence, that it has something that can appeal to everyone, not necessarily that they have to be Muslim, but that there’s a message in it that can allow me to sit down with anyone in a civilized manner and be a part of that human family. So my greatest fear is when Muslims misrepresent that. It’s very problematic for me because I always say, `Well, that’s not the Islam that I know,’ and so I think in that my greatest hope is that people can see that beautiful message of Islam that I grew up with as a child and such an innocent understanding of it. You know, going out at age five and cleaning up the parks when I wanted to watch cartoons and my father having me, as a young Muslim child, going to clean up dirty parks with, you know, hoes and rakes and all these shovels, not understanding that, like, all of these things were a part of, you know, what he believed to be an obligation as a Muslim to do. And I think he’ll look at a park today and say, `Well, we should go and clean that up.’ You know, I want people — I think, the greatest fear is the misrepresentation of that and not to be able to see the beauty of that, and the greatest hope is for people to see that and also for Muslims to see the value in general that African-American Muslims have had to spreading the message of Islam. MS. TIPPETT: Precious Rasheeda Muhammad is founder and president of the Journal of Islam in America Press and founder of the Islam in America conferences at the Harvard Divinity School. I’m Krista Tippett, and this is Speaking of Faith from American Public Media. Today, exploring the perspectives of Progressive Muslims in America. MICHAEL WOLFE: These are people who have a better opportunity than Muslims, perhaps, anywhere in the world to reclaim the core values of this faith. MS. TIPPETT: Michael Wolfe grew up in a mixed Jewish and Christian home and converted to Islam over 20 years ago. 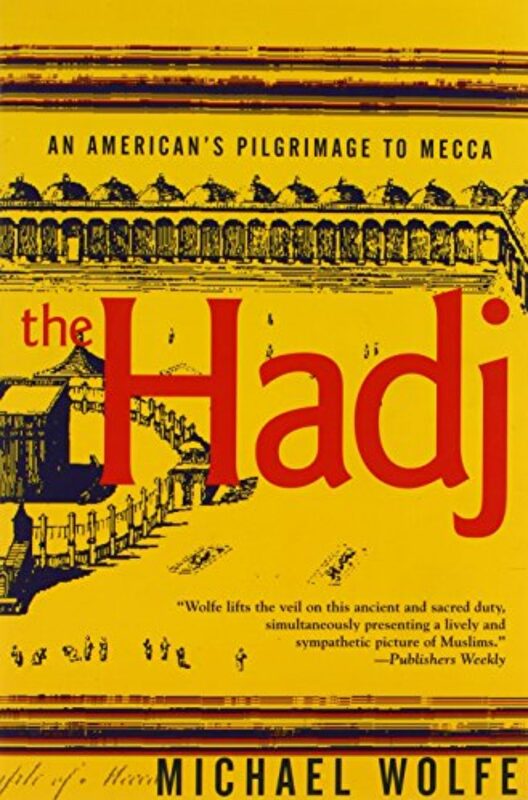 He published The Hadj: An American’s Pilgrimage to Mecca in 1993. After 9/11, he created the PBS documentary “Muhammad: The Legacy of a Prophet” to explore the depths of Islamic faith that he found lacking in other media coverage. And he is the editor of a volume of essays by American Muslims entitled Taking Back Islam. In that volume, a number of authors draw parallels between the early history of Islam and Islam in America today. The prophet Mohammed himself and his original followers left Mecca for freer lands like Medina and Abyssinia and flourished in other cultures. I asked Michael Wolfe what he means when he writes that 10 years from now, the early 21st century may mark the time when American Muslims found their real voice. MR. WOLFE: The core values of Islam are very — in very good alliance — very close alliance with many of the core values of this country, including racial and religious pluralism, a sense of justice, a sense of equity. And to look back and see what’s happened to people’s lives all over the world since 9/11 it’s been a real impetus I think, that pressure to distinguish a religious practice from the political rhetoric of a small group of disenchanted upper middle-class anarchists. 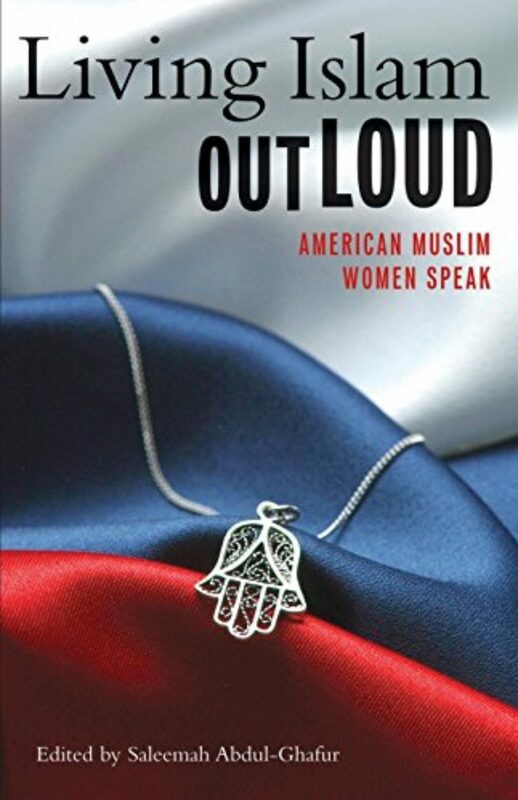 MS. TIPPETT: And, you know, it’s the energy I think that jumps out of these pages of the book which you have edited but which is, in fact, a collection of chapters written by many different kinds of Muslims from different countries, different cultures, different gender and different perspectives, but it’s an incredibly energetic group of essays. MR. WOLFE: Well, yes, and I think it’s an urgency that’s born of a deep concern. It’s a kind of push. You know, it’s a common statement that the power of God is to pull good out of evil. The power of religious faith is to pull good out of evil, to reach into the center of something that is horrible and destructive and to draw out of it by human effort and heart something that’s positive. MR. WOLFE: Yeah, and I always think the emphasis in that is, `Even if it hurts you yourself.’ In other words, be honest enough to recognize that in a group, even a small group, there will be variations of good and bad and capable and hair-brained and so on, and that in a group as large as one fifth of the planet’s population, for God’s sake, at least have the humility to accept the fact that some in your group can go haywire and then have the energy to define how that’s happened and how you’re different from them. I think that was a big hurdle for many Muslims here and abroad to get over, and many people are not over it yet. It’s not an easy thing when you belong to a group that is traditionally victimized anyhow. I became a Muslim in the ’80s. It was no cakewalk then, let me tell you. So after about a month or so or six weeks of that, I began to hear people in mosques and on the telephone and writing e-mails and so on, saying, well, you know, we’ve got more of a problem here than we think or than we’re saying. And really we need to look in, as Shakespeare says, you know, look into your own foul heart if you want to straighten things out. And I believe that Muslims have been doing that. This is, after all, a religion of great candor. You know, it’s not a religion even in its own foundational story that goes in for a lot of mystery and there’s pretty good scholarship and a pretty good academic tradition in the Muslim world, always has been. And it’s a very literate culture, and one of the most quoted phrases in the Qur’an is, `for people who think,’ `for thinking people’ `This book is for thinking people.’ So, lo and behold, many people began to think and give some consideration to the various stripes and colors of Islam and to some of the defunct institutional aspects of the relation in various countries. Here in the States, we have really, by comparison, a nascent community. So it isn’t surprising that a lot of this introspection and a lot of this public reconsideration would take place here. MS. TIPPETT: Does that mean that also some of the baggage, some of the institutions which people want now to critique aren’t so overwhelming in this country — for Muslims in this country? MR. WOLFE: Yeah, that’s probably true, too. I think, though, largely it’s just a matter of free speech. Honestly, I mean, there are a number of dictatorships in the Middle East and elsewhere where you’re not free to speak and where the religion is — be it whatever that religion is and in these cases I’m talking about Islam — is essentially a state-run affair. MS. TIPPETT: Right. So here the conversation is possible and the critical discussion can be out in the open. MR. WOLFE: Correct. And it can be developed, you know? I mean, you don’t do this sub rosa, you know, in whispers. You have to develop a kind of conversation that has a chance to surface, spread, create courage in others to speak out as well. You know, this is not something that can take place in a day or a week. It has to — there has to be sufficient ground for the seeds to grow, and I think here you have better possibility of that than, say, in — I don’t know what — Egypt. MS. TIPPETT: You know, there’s a very interesting proposition that someone makes in the book Taking Back Islam. Yahiya Emerick — is that how he’d say… it? MR. WOLFE: Well, yes, it is true. This is a very powerful experience Muslims have undertaken to come to the United States. You know, this country does powerful things to people who arrive here and to the generations that follow. And no one knows what the effects of being in a free society, a relatively free society, will have on what you might call postmodern Islam or whatever you want to call it, you know, 21st century Islam. MS. TIPPETT: Michael Wolfe. He is the author of several books on his midlife conversion to Islam two decades ago. He’s also the editor of a collection of essays titled Taking Back Islam. 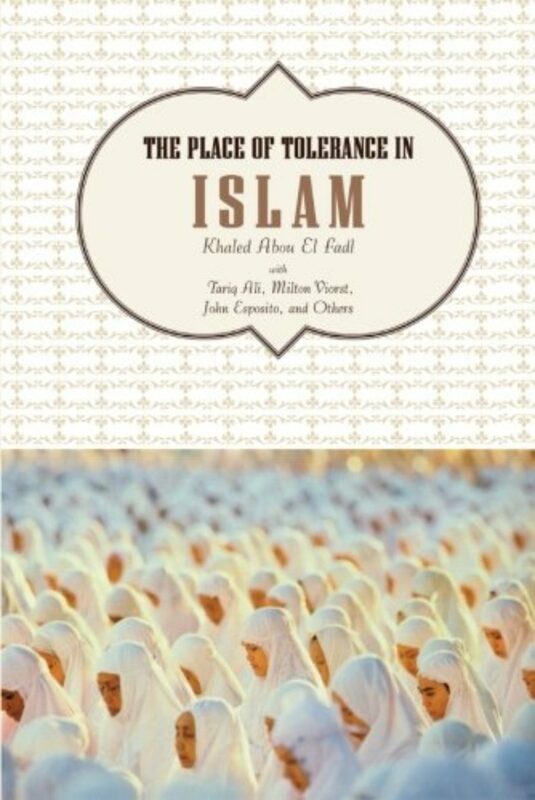 That book, Wolfe writes, is composed by progressive, mostly American Muslims, people who are in love with Islam, who are proud of Islam, and who are confident enough in its strength to believe that it can stand up to honest introspection. Your final chapter is called Have Qur’an, Will Travel, and you describe a dinner party. And I also find just a little — a look inside this kind of more personal moment in the life of a Muslim with professional people and good conversation and, I’m assuming, good food around a long table and children running around and the evening ends with prayer and a recitation of the Qur’an. MR. WOLFE: Mm-hmm. Yeah. It’s quite common in just going to dinner to anybody’s house. The short Quranic recitation’s always incorporated in prayer, so if you arrive between five and seven, you’re probably going to be involved in that anyway. But then oftentimes, and particularly at high moments during the year like Ramadan, there’ll be a recitation of a larger section of the Qur’an. 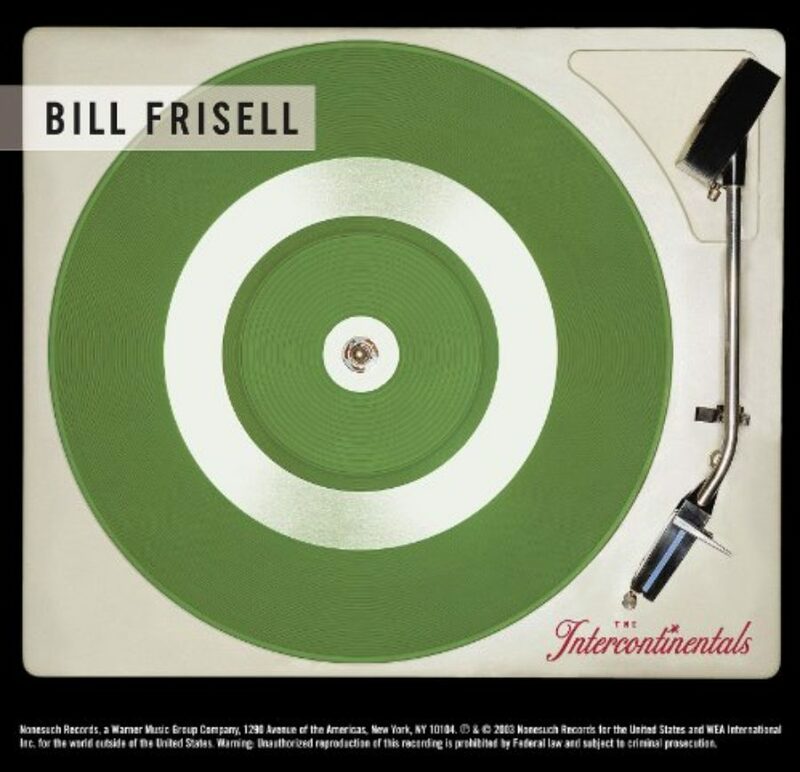 It’s very beautiful to listen to. I virtually have no Arabic, but I find it mesmerizing. MS. TIPPETT: Yes. I mean, it’s interesting to me to think of it being — I can imagine it as a traditional kind of entertainment, but to imagine it happening at an American dinner party is a new thought. MR. WOLFE: Yeah. No, no, absolutely. Well, this is why I would like to see in the next five years or so some books coming out by individual Muslims talking about their lives here, because there is the most fascinating mixture of traditional and contemporary living going on in the Muslim community right now. There are computer programs that will set your clock for you so that you know when it’s the time to pray. You can go online now and hear the call to prayer from the Grand Mosque in Mecca, the kind of heartland of Islam. There are all kinds of interesting combinations of the traditional and the very modern that are taking place, and it’s an interesting moment right now in our society, and I hope that in addition to essays by apologists, by reformists, by progressive Muslims and everything else — I hope also that people will begin to register their actual lives in print because this is a very interesting time right now. I don’t know what Islam will look like in this country in 100 years. No one does. 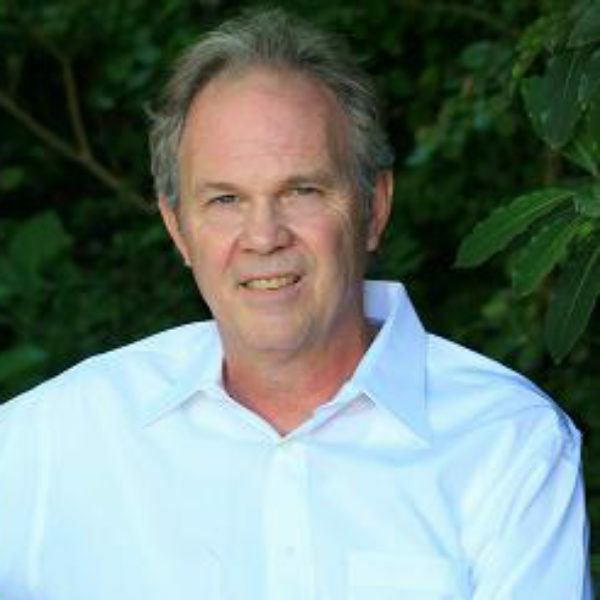 MS. TIPPETT: Michael Wolfe is a filmmaker and the author of several books, including Taking Back Islam and The Hadj: An American’s Pilgrimage to Mecca. Earlier in this hour, you heard Precious Rasheeda Muhammad, Omid Safi and Kecia Ali, Muslims creating a vital spiritual home in America. We’d love to hear your thoughts on this program. You can contact us through our website at speakingoffaith.org. There you’ll find an annotated guide to today’s program, the particulars section presents images and details about all the references, readings and music you’ve just heard. While you’re there, learn how to purchase mp3 downloads of each week’s program and sign up for our free e-mail newsletter which includes my journal on each program as well as previews and exclusive extras. That’s speakingoffaith.org. This program was produced by Kate Moos, Mitch Hanley, Brian Newhouse, Colleen Scheck and Jody Abramson. Our web producer is Trent Gilliss. The executive producer of Speaking of Faith is Bill Buzenberg. And I’m Krista Tippett. Please join us again next week.